Custom built chateau style home in South East Oakville. 8,700 total square feet of luxury including 4 1 bedrooms, 5.2 bathrooms, and a fully finished walk-up lower level. This home is dressed to impress, with a six-car driveway, professional landscaping and hardscaping leading to the timeless stone façade with covered entry. An elegant foyer with marble tile flooring and 20’ ceiling offers a walk-in coat closet and sightlines to the formal gallery, flooded with natural light from an oversized skylight. 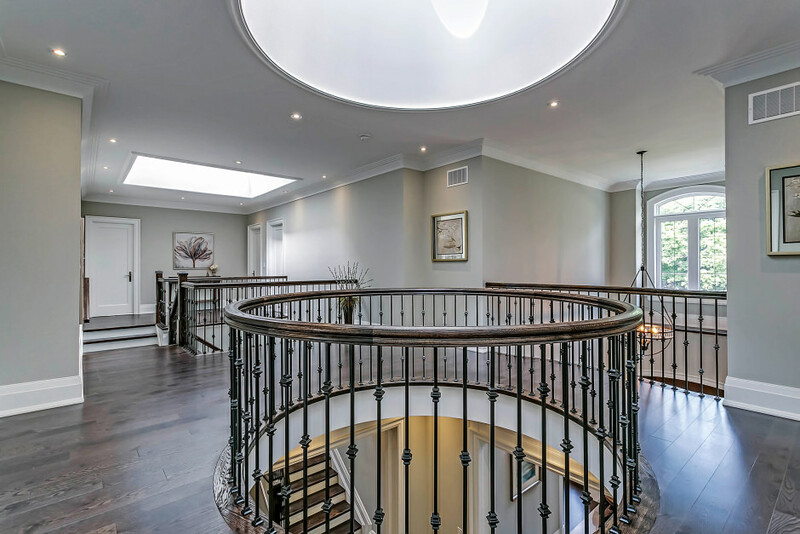 Luxury features, such as 10’ ceilings, wide plank oak hardwood flooring and double height crown moulding are consistent throughout this traditional yet open-concept floor plan. The main level, with built-in sound system, offers endless entertaining potential. The formal dining room, with crystal chandelier inset a tray ceiling, features convenient servery access to the eat-in kitchen. The kitchen is truly gourmet, with marble countertops, chef-grade appliances, and an oversized central island with bar seating. The breakfast area overlooks a cozy family room with custom bookshelves flanking the gas fireplace with marble surround and entertainment niche. A single French door opens to your covered outdoor living room with flagstone patio and linear gas fireplace with stone surround – perfect for dining al fresco throughout three seasons. The private lot offers ample space for a future in-ground pool. Upstairs, double doors open to a master retreat worthy of old Hollywood. Crystal chandeliers add a touch of glam to the dressing room with built-in storage and dedicated shoe closet. The spa-like 5-piece ensuite sparkles, with heated marble tile flooring, double vanity, and a three-sided seamless glass shower with king rain showerhead. A standalone soaker tub is beautifully placed, with a full height marble feature wall providing privacy. The functional second level of the home features separate ensuites for every bedroom, and a laundry room with quartz countertops and high-end appliances. 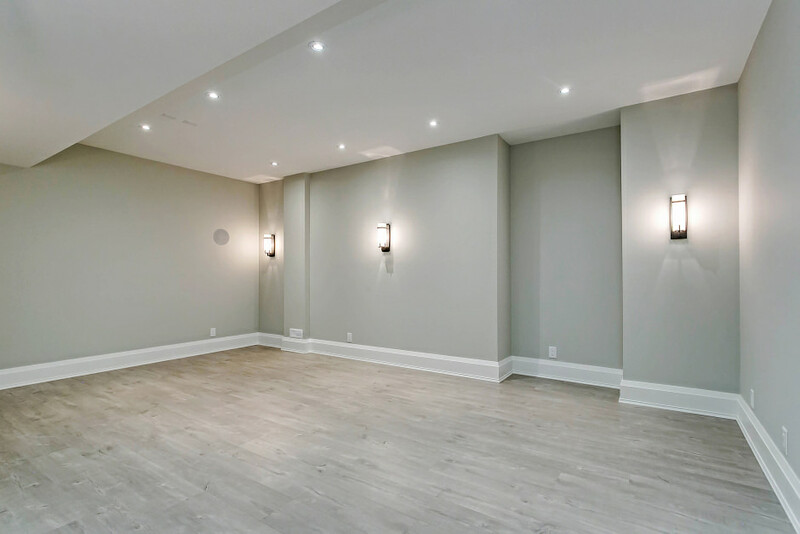 The fully finished walk-up lower level, with heated flooring throughout, offers ample additional living space including a media room, secondary powder room, exercise room, 5th bedroom/nanny suite and ensuite with steam shower. A spacious recreation/games room with linear gas fireplace opens to the bar/kitchenette and wine room with custom built-in oak cabinetry. This home offers every comfort and luxury desired, including dual furnaces and air conditioners, exterior irrigation system, security system, double garage with tandem parking for a third vehicle, and more!